Always exciting to see a preview release of a new version of Ruby, especially since 2.6 introduces an initial implementation of the performance-boosting MJIT compiler that we’ve mentioned a few times recently. Mike Perham of Sidekiq fame explains how freezing your strings can help performance quite a bit and how Ruby 2.3+ can help make this easier. In the race of container orchestrators, Kubernetes is surging ahead. However, people are often stuck on the step of getting their infrastructure to production. 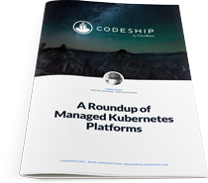 Get an overview of Managed Kubernetes Platforms and their basic features. A clean way to easily duplicate models that pulls the good bits from several other gems. Create describe, it, expect, and other RSpec-like methods in your own mini DSL. Won’t affect many but worth knowing, especially if you have any servers with old versions of Ruby and OpenSSL running (e.g. Ruby 1.9 on Ubuntu 12.04 or something). An amazing speaker lineup and early bird ends today. This blog is based on our user research with developers, operations teams, business stakeholders, and people at every intersection of DevOps. Lots of parts brought together in one place here. Maybe you’ll improve your performance 500% like the author did. Algolia is a third-party search service/API. Based on the ImageOptim app, optimizes images with compression and metadata removal.